The president’s words, as widely reported, derogated the homelands of people from Haiti, El Salvador and poor African nations. 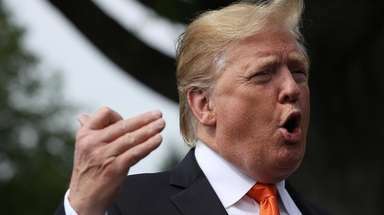 Demeaning words attributed to President Donald Trump about Haiti, El Salvador and impoverished African nations drew condemnation Friday, as immigrants, advocates and politicians said they reflected a view contrary to the American spirit. 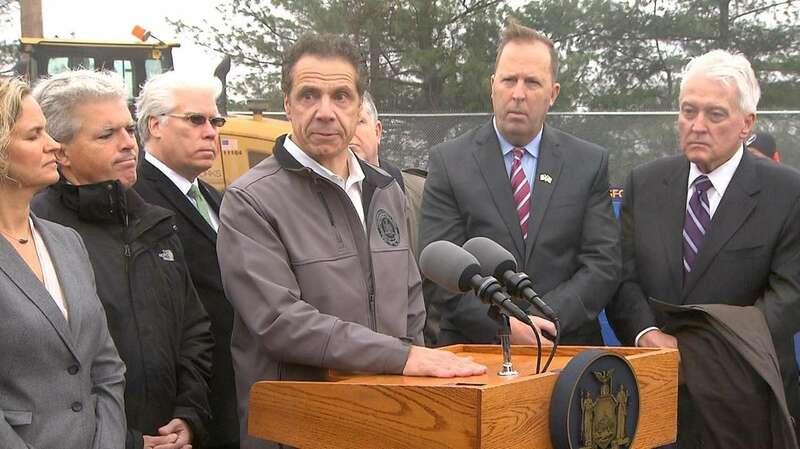 Among the critics, New York Gov. Andrew M. Cuomo, appearing at the swearing-in of the first black sheriff in Suffolk County, said he couldn’t repeat Trump’s words without disrespecting his office of governor. Instead, Cuomo lauded the United States for welcoming all “no matter what race, what color, what creed, what income level, what education level,” and as an experiment that’s worked well. Trump’s words, as widely reported, cast the homelands of people from Haiti, El Salvador and poor African nations as “shithole countries” during a discussion Thursday at the White House on immigration. Trump was reported to have said he’d prefer immigration from places like Norway. 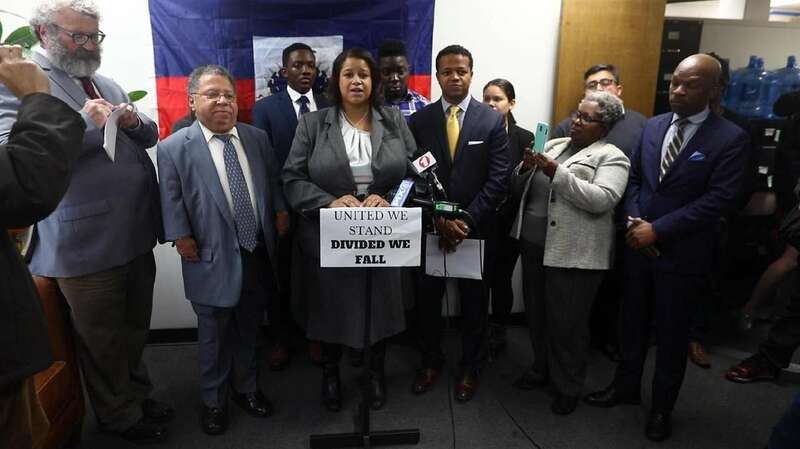 Leaders in Long Island’s Haitian, Salvadoran and immigrant-advocacy communities, who gathered at a news conference Friday in Hempstead, said the controversy confirms their belief that the administration is pursuing biased and racist policies. 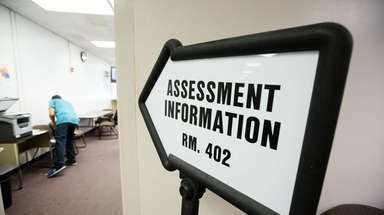 Others in the room agreed, saying that the terms should serve as a wake-up call for political action. 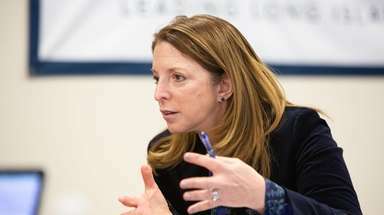 Area politicians mostly condemned the remarks, though Rep. Lee Zeldin (R-Shirley) seemed to give Trump the benefit of the doubt. Zeldin added that he isn’t going “to call for the President’s mouth to be washed out w soap.” He could not be reached for comment on Friday. 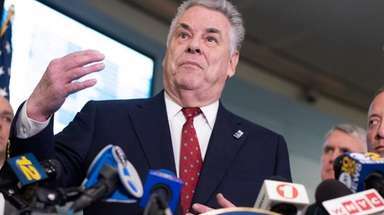 Rep. Peter King (R-Seaford), often a Trump ally, said that “President Trump’s comment regarding certain immigrant groups was clearly wrong” and he praised the contributions of Salvadoran and Haitian communities. Rep. Thomas Suozzi (D-Glen Cove) called Trump’s remarks “Awful. Inappropriate. Unpresidential” in a social-media post. Abiodun Ojo, a first-generation American from Valley Stream born to Nigerian parents, joined the advocates’ news conference. The college student, 19, said the “vulgarities” said about his community are “extremely disheartening. Senator: Trump said 'hate-filled things' repeatedlyPresident Donald Trump tweeted: "The language used by me at the DACA meeting was tough, but this was not the language used." 9 LI immigrants define their American DreamWhat's it like to uproot yourself, your family, and move to a country where you might not know the language or way of life and rebuild your life from scratch? Long Island is home to many who took on these challenges and traveled from countries such as Haiti, Zimbabwe and Russia to pursue a better life in America. Letters: Readers react to Trump profanityReaders reacted strongly to reports that President Donald Trump used profanity in a White House meeting to describe Haiti and some African nations. Trump tweets: End Mueller probe, collusion not a crime, moreSee President Trump's latest noteworthy tweets.